Create a powerful online petition in just minutes. Our system is flexible, customizable, and easy to use. Best of all, it's free! Start by filling out this form, and in a few minutes you'll be ready to collect thousands of signatures. Don't worry if you don't have final text ready now. You can always fine tune it later. The image should be at least 500px wide and 300px high and a maximum size of 10MB. Your petition will do well here. Our petitions have collected millions of signatures, and have been featured on CNN, BBC, Fox, and other news outlets. We'll make sure your voice counts! 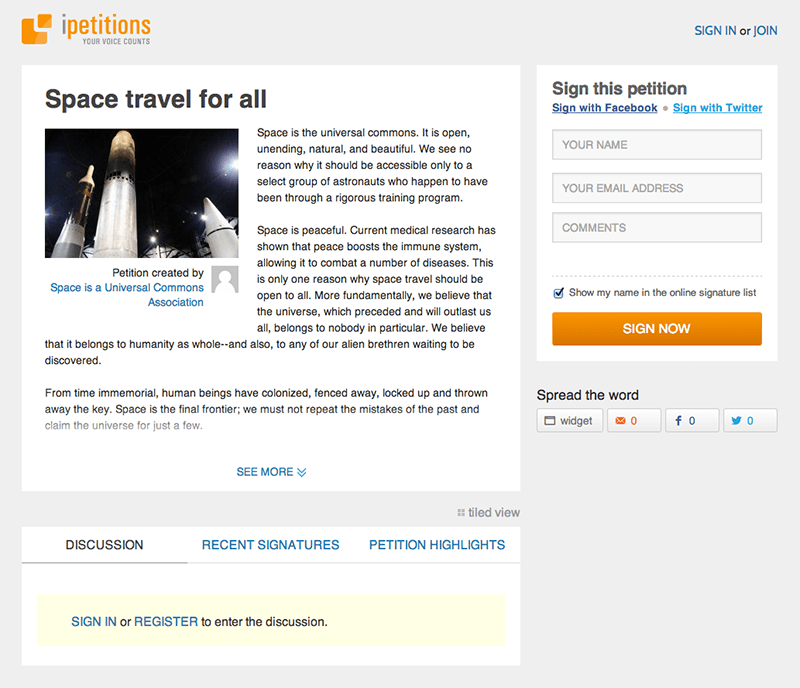 Want to see what your petition will look like? See a sample petition.